Last weekend I did another trail patrol hike, mainly to check in on a campsite and its water supply. I also added a little side jaunt on a section that was once the A.T. but is now known as the Mohawk trail. I headed back up to Falls Village, where we did our family backpacking trip over labor day weekend (scroll down to the next entry). But from here I headed south instead. This section runs from the crossing of Rts 7 and 112 to Rt. 4 in Cornwall Bridge. It also includes the famous “hang glider’s view” on Sharon Mountain to Lime Rock racetrack and beyond. There’s a campsite farther south of that view known as Sharon Mountain campsite, though I was not headed that far today. 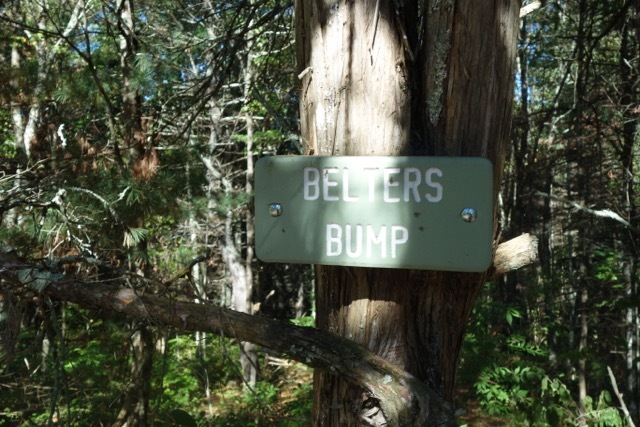 I was here to check out Belter’s campsites, just south of Belter’s bump, a small outcrop on a ridge only .75 miles south of the intersection on the northern end of the section. Then I would turn around, head north and pick up the blue-blazed Mohawk trail. I parked in the hiker lot on Rt. 7 just south of the bridge over the Housatonic that the trail crosses. The trail loops around a cornfield as it skirts the river, then crosses the busy road. From here it’s pretty much right up to Belter’s bump. This spot is named after a local farmer whose land it used to be. It’s a few hundred feet up but rather quickly and so it definitely gets your heart going. At the top is a small rocky outcrop where you get a nice little view of the mountains to the east. In summer, the rattlesnakes like to sunbathe here. Luckily I didn’t meet any this time or when we were through here last as it was a downpour on that trip. 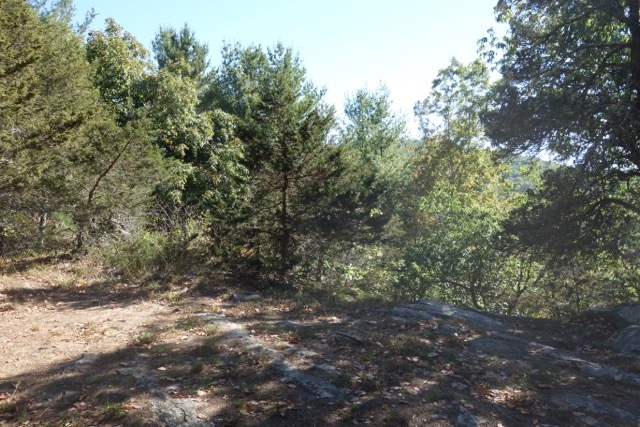 The campsites are a little bit farther down the trail but one of them that is farther up the hill from the others is close to the outcropping. The spring for the campsite is still a tiny bit farther down the trail on the opposite side of the campsites. 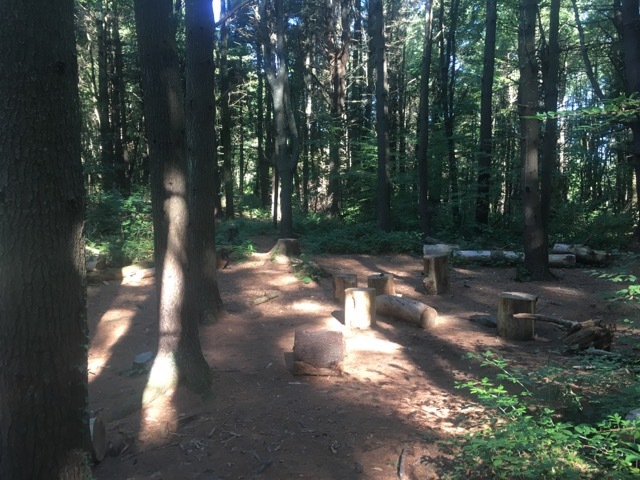 I went up the blue blazed campsite trail and inspected the three different camping areas and privy. These are nice sized campsites and had recently had some trees cut down and so there were many log seats around them. The campsites were mostly in a hemlock and pine grove so lots of soft needles covered the ground and it looked like a really nice place to camp. I’d say the primitive exposed privy might be the only deterrent for some, but it was clean, and it’s better than no privy. There are very few of these left on our section of trail. I didn’t find any fire rings or issues at the campsites, so I then went to check out the spring. It was running just enough to be usable. I believe this one is fairly consistently reliable. I then headed back up and over the bump and met a northbound section backpacker with his dog. This time of year really is a popular one for these folks as the weather has cooled down, the thrus are all long gone so the campsites are less crowded, and the leaves are changing. It’s a much more individual experience which is what most of us are seeking when we backpack. Someone had left their coat up on the outcropping so I brought it down with me. I dropped it in the car as I passed right by it again before heading north over the bridge. 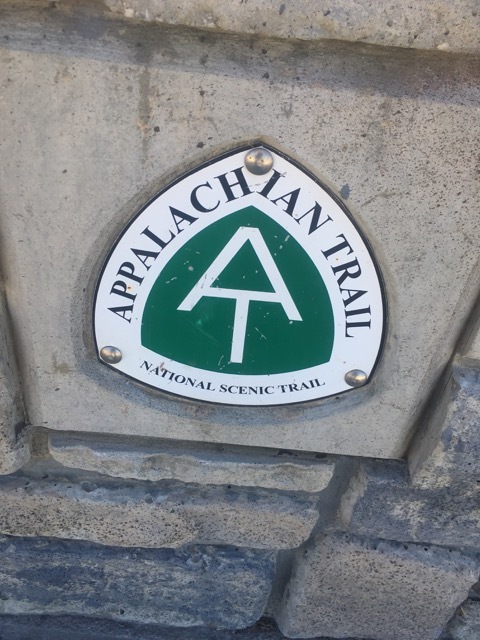 The bridge has several official Appalachian trail logos in it and a few blazes painted on it. Last time we were here in that downpour and were crossing the road from the bridge, a large group of bikers at the light had a bit of a laugh at our expense. We were as miserable as we looked after 9.5 miles in the cold rain that day. Ahead of me I had views of the shoulder of Barrack Mountain, my next exploration. It rises steeply over the river and the climb begins quickly after leaving the A.T. 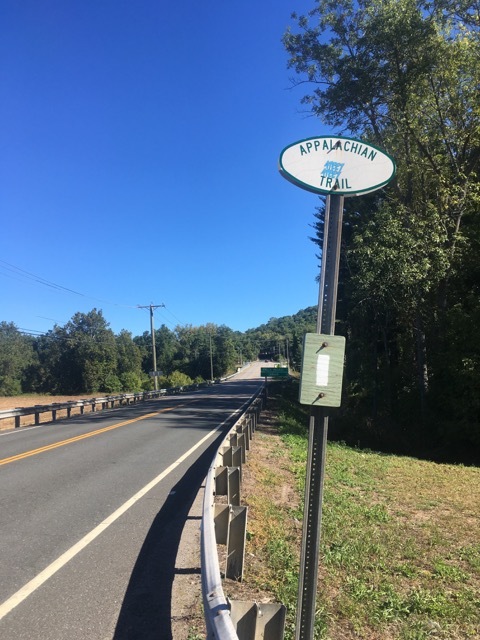 The A.T. follows Warren Turnpike for a short distance from route 7 and alongside the Housatonic Valley Regional High school before returning to the woods. I picked up a lot of trash here along the road, more likely from high school students than hikers. Just before the A.T. returns to the woods, the northern end of the Mohawk trail begins. Before a big re-route a few decades ago to the west of the river, this was the original A.T route. 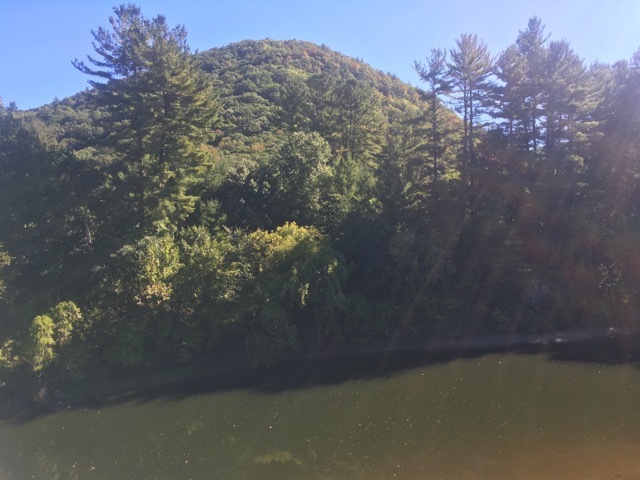 It includes many scenic spots including Breadloaf Mountain, Cathedral Pines, Mohawk Mountain ski resort, Deans Ravine, and Barrack Mountain. I have done about the southern 9 or so miles from its southern end on Breadloaf Mountain to the top of Mohawk ski resort with its incredible views all the way to the Catskills and beyond. I had heard that Barrack Mountain was quite steep and challenging, and I wanted to see just how steep and challenging it was. I made the turn off at the blue-blazes and climbed up a railroad embankment. 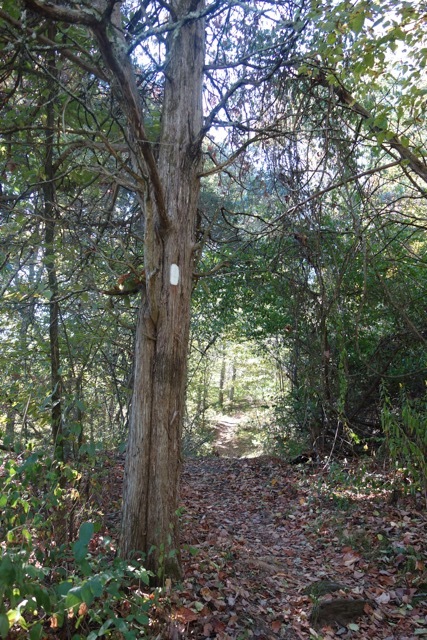 After crossing the railroad tracks, and passing to the south of the hiker — and biker-loved Mountainside cafe along route 7, the trail quickly climbs. After a brief but steep section it follows the edges of the mountain along narrow and pretty eroded dirt tracts. Rock piles and dry creek beds through them break up the dirt path and provide some breaks from watching your feet every step. As I rounded the next corner. the trail headed straight up through larger rock piles.These required a lot of careful negotiation with the path covered in piles of leaves. In several places I had to scramble and climb hand over hand and get my balance. The trail here reminded me a bit of Agony Grind in New York, but steeper and less maintained. The climb became steeper and the leaves more precarious. After a few more switchbacks I realized I was running out of time quickly and that the pace I was taking to do this safely would leave me short of the summit today. 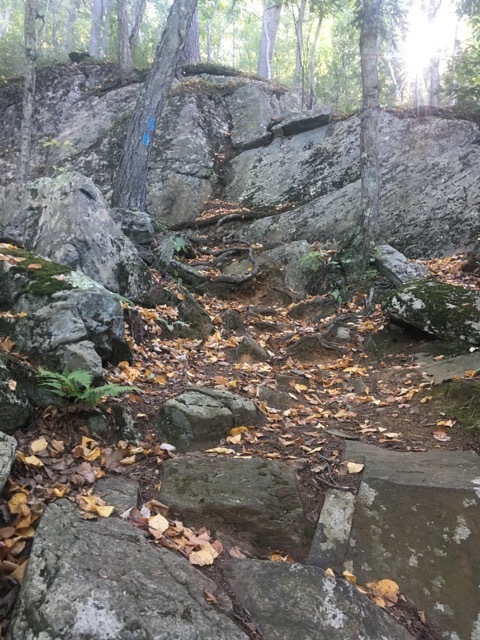 Looking up, the trail became even narrower and steeper and there was no way I’d be able to summit any more quickly than I was going. So I prepared myself for the slippery descent and turned back. Its easy to feel defeated in these situations but I knew if I had more time I could have made it all the way. And sometimes we have to make these decisions whether for time constraints or just for safety reasons. A slip on this part of the mountain meant severe injury, and without any other hikers around, help would be hard to come by. I made the judgement call that I think was best, and I know I will be back to complete it when I have more time. I’d like to backpack the rest of the Mohawk Trail since the original shelters are still there from when it was the A.T. I have about 18 miles or less of it now to complete and could do that over a weekend, perhaps next summer. The mountain certainly lived up to its reputation at least. I got back down to the cafe and walked route 7 back to my car, already planning when I could get back to finish this challenge. In the meantime, Fielden Stream and I are off to Warwick in 5 days to finish the last 6 miles of New York and celebrate her birthday on the trail and then at a beautiful B&B on Greenwood lake. I promised this year I wouldn’t make her sleep in a tent on her birthday. That section promises to be a tough climb up from the state line trail to the ridgeline, with rebar ladders and lots of steeps. But once we’re up there we will enjoy miles of lake views from the ridgelines and it will be a gorgeous finale to another state. That also means I can finish our New York video that I’ve been working on the last two years and share that with you in about 2 weeks or less. I can’t wait. 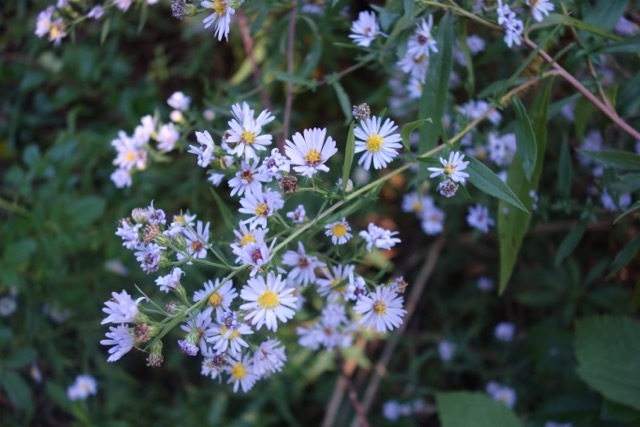 I also hope you will join our Connecticut Appalachian Mountain club for our 10th annual A.T. day on October 15th. 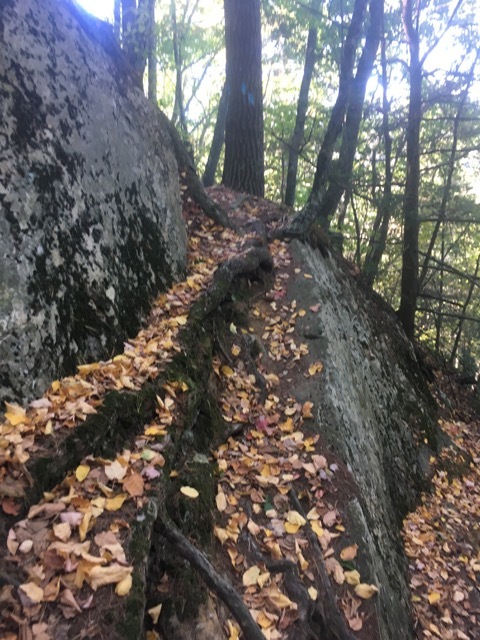 We have hikes all along the CT section of the trail, as well as hiking in Macedonia Brook State Park along what was also once part of the A.T. There’s also paddling trips, a beginner’s rock climbing class at St. John’s Ledges, trail work volunteering projects, and family hikes. All followed by a BBQ. 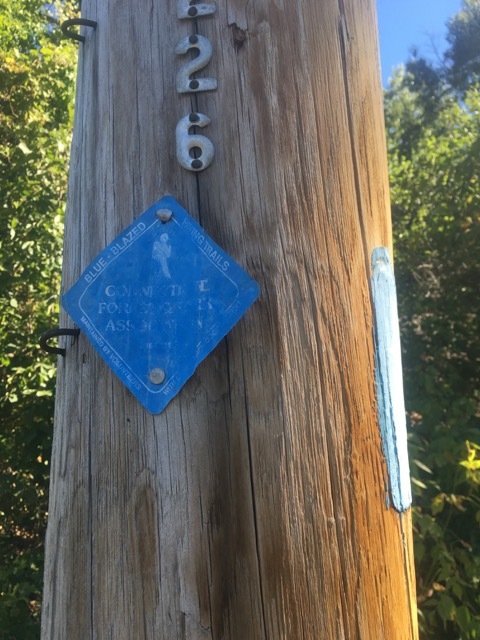 I and many of the great caretakers of our trails in Connecticut will be there. Come hike, help out and have a burger afterwards!